Breakthrough Blogs: Only One More Week!!! On March 10, 2014 I’m kicking off the Escalation Blog Tour at Captain Ninja Alex’s Blog. I thought the best way to launch this tour is have one big party for the citizens of Blogdom. And you’re all invited. This will be a potluck event with a theme. Everyone brings a dish, but it has to have a pun to the name. Use your imagination or Google food puns, then stop by Alex’s blog Monday March 10th and leave what you bring in the comments. 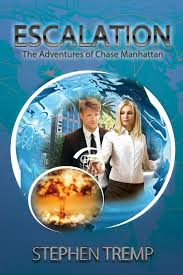 Escalation: The Adventures of Chase Manhattan: If you are not part of my Blog Tour but still want to help in some way, you can do a shout out on March 10th, or any day of that week. Just let me know so I can stop by your blog and thank you and leave me a note in the comments so I can keep track. You can simply do your own shout out with a link to my blog or Amazon. Or you can copy and paste the synopsis or one of the blurbs on my Escalation Tab at the top of this page. Author Of The Week: Thirteen tales of crime set during the bacchanalia that is Mardi Gras. Featuring stories from Harriette Sackler, Marian Allen (a good blogging friend of mine), Debra H. Goldstein and Nathan Pettigrew. The mayhem of Mardi Gras is served with a healthy dose of Cajun dishes and an unhealthy number of deaths. Dig into Bourbon Street Lucifer, Voodoo Honeymoon, a dish of Red Beans and Ricin, and other deadly treats. Just don’t bring any of these treats to Alex’s on March 10th. Click the image at the top of my right scroll bar for more information. And if you haven't signed up for 2014 Wormfest, well, you know what to do. Congrats on your book release! I will definitely shout out for you. Hi Stephen .. good luck with this last week prior to Escalation hitting the airwaves - so pleased for you ... I'll be around, and cheering from the blogosphere and then dashing in to purchase when published ..
You mean I have to get my brain into gear for the food puns .. it'll be fun to read everyone's thoughts here .. Thank you Hilary! Words of encouragement are so important leading up to a release date. All the best to you Stephen! I really have to think about what food I'm bringing. Good luck on your very busy days coming up. Well, I guess they're already busy as you prepare. I haven't even thought of something to post for Wormfest yet! Many good wishes, Stephen. I made a note to put something in my March 10 blog. I have a guest that week, but I'll include something about you, too. 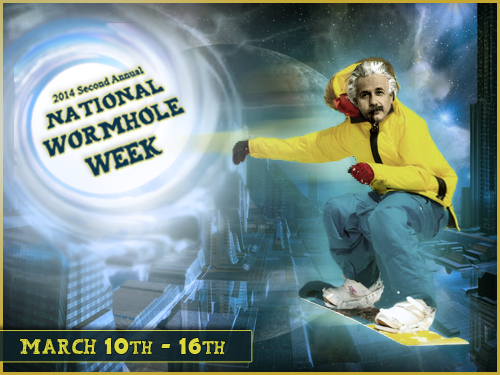 Looking forward to jumping into the Wormfest! And I will for sure give your book some promo on the 10th. Oooohhhh, this sounds like it will be such great fun. Got to get my act together to make sure I get in a good shout out for you. Lol, those were some fun examples! Sending you good vibes as you head into week b4 all the fun. Thanks all for the shout outs! Every one counts. I certainly cannot do this by myself. I get by with a little help from my friends.